The Blue Pansy is one of the four Pansies found in Malaysia. The male is the prettier of the two sexes, where the hindwing is a bright blue with an orange-red subtornal ocellus. The female is a sombre brown on the upperside. A very sharp macro shot of this lovely butterfly. Wonderful colors of the spread wings adorned with perfect diffused lighting. Nice contrast with the green leaves and a pleasant composition. A spectacularly designed and coloured butterfly.Details are extremely sharp and colours well saturated. 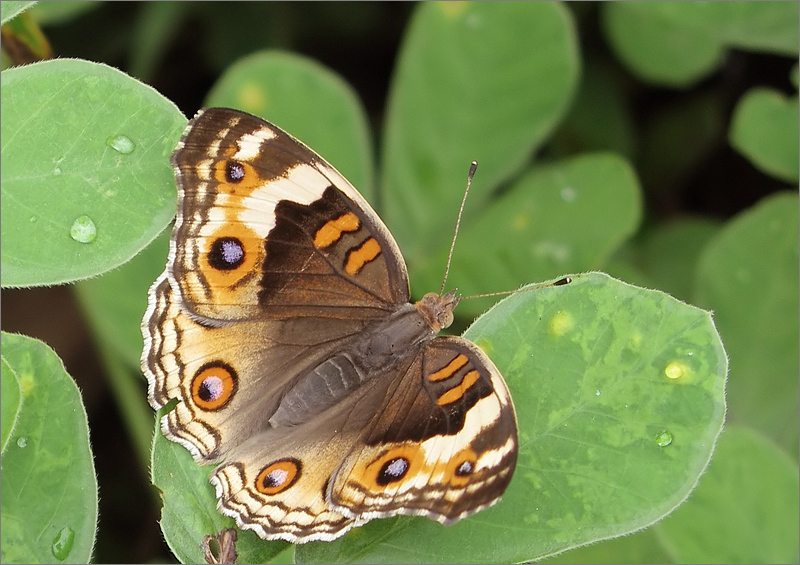 This is a lovely capture from Blue Pansy butterfly with nice details! Great colors and perfect POv for this shot. The eyes are beautifully shown and so are the thorax and wings of the butterfly. Great clarity and perfect contrast between the wonderfully textured species and great gree surroundings. A lovely shot of this beauitful blue pansy shot with nice diffused lighting and lovely framing,superb sharpness and details with contrast colors. The wonderful nature world with great colors and good sharpness. You have a nice collection of butterflies in your portfolio Jusni , Malaysia has lots of them fluttering around , i remember having spotted hundreds during my visit but pictured very few , a pity because your hot and sticky weather diminished my fervor soooooo much that i kept the running to a strict minimum , lol ! Hi, Jusni. Lovely macro of the butterfly with a great POV, good colors and sharpness. Well composed with nice green leaves.Cheers. Excellent details and a lovely butterfly! Well framed with accurate DoF..!